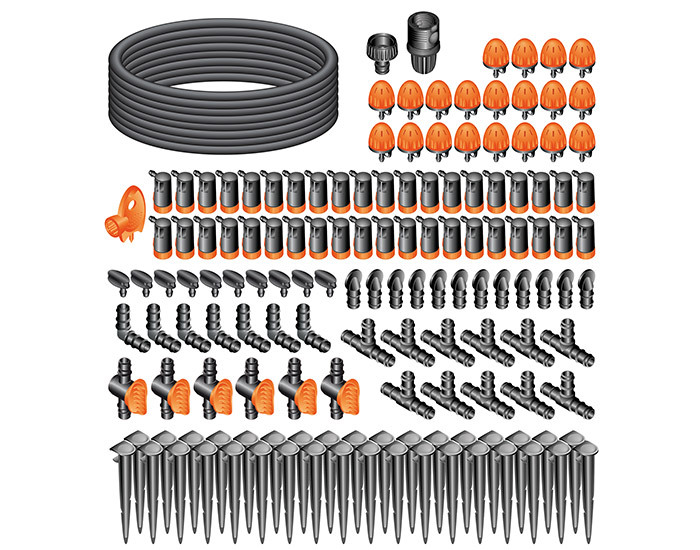 Immediate and complete solution to set up a drip irrigation system in your vegetable garden, it includes everything you need: main tube, feeding hoses, adjustable drippers and accessories. It is possible to adjust the amount of water for each single crop, according to climate, soil and plant needs, obtaining the best results in the vegetable garden and saving precious water, watering only when and where it is needed. The system can be connected to an electronic battery-operated Claber timer and is expandable over time using products in the Rain Jet line.